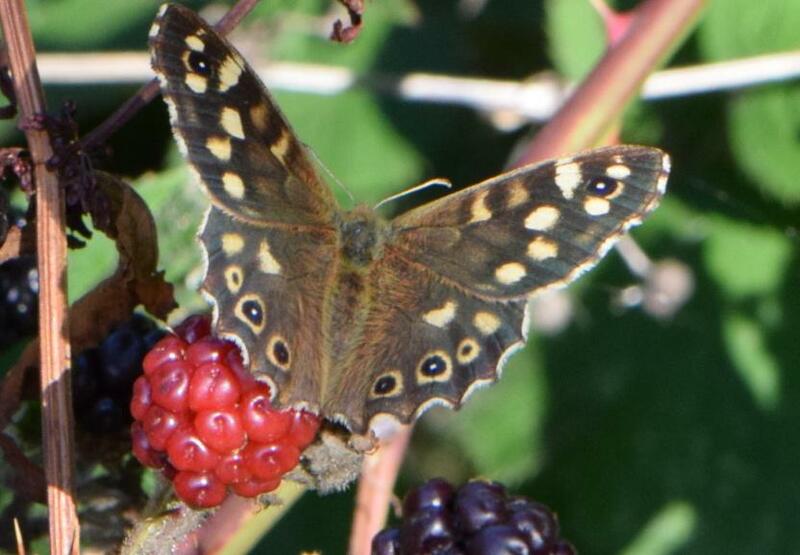 A big thank you to Rosemary McKerrell for taking to time to pen this for Higgledy and for sharing her stunning photographs…all rather splendid….I’m sure you’ll agree. 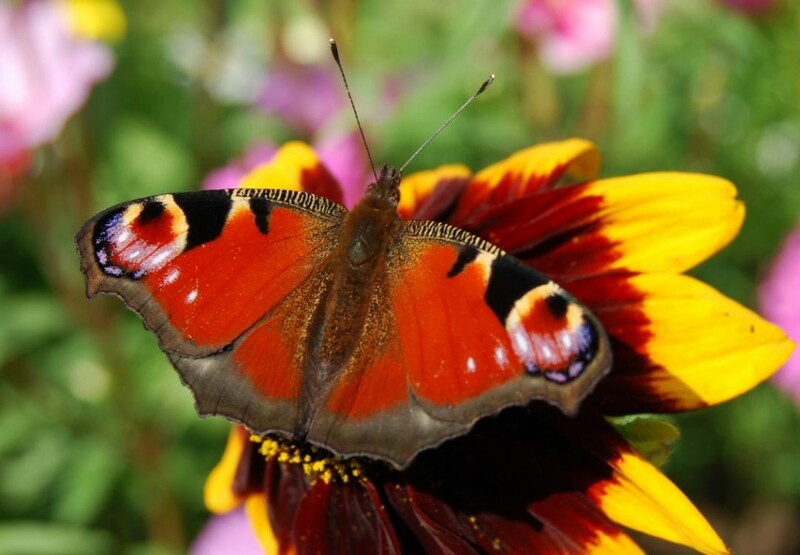 We all love to see beautiful butterflies fluttering around our flowers and it’s good to know that they aren’t just decorative- they are also good pollinators, so we should do everything we can to encourage them into our gardens. 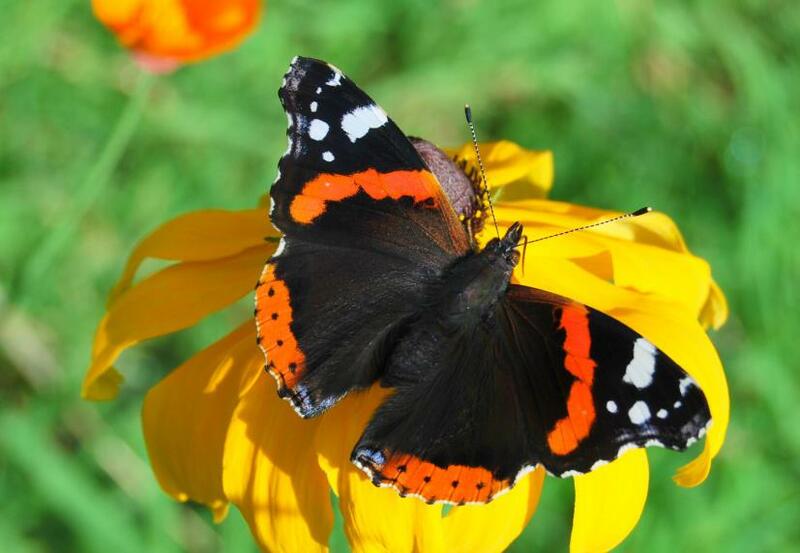 Loads of annuals will attract butterflies. 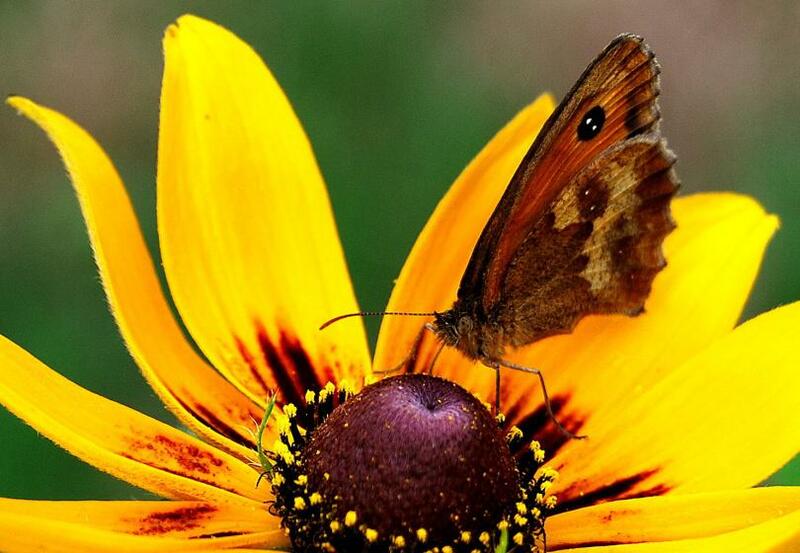 In general they prefer large flower heads like Calendula and Rudbeckia on which they can spread their wings and balance while they collect nectar using a long proboscis to reach deep into the flower. The pollen gets collected on their legs and abdomens and then transferred to the next flower head they visit. 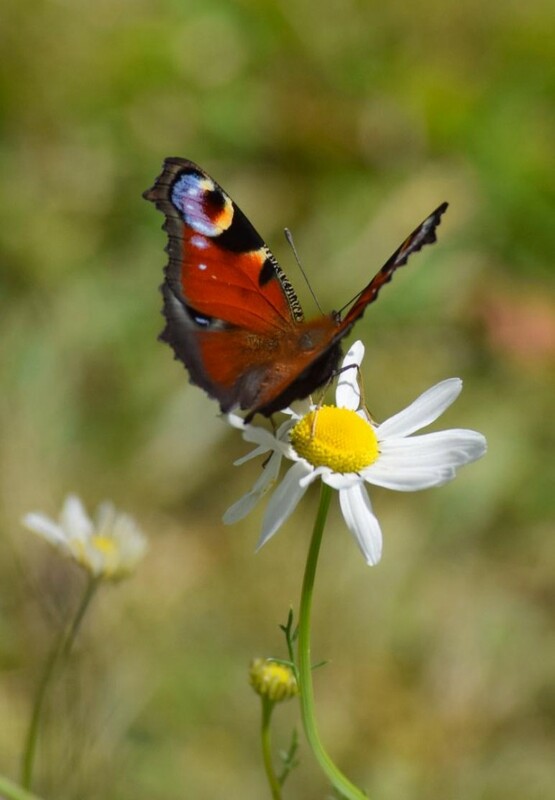 Both bees and butterflies also see a very different pattern of markings on flowers than we do because they are very sensitive to ultraviolet light and scientists have shown that markings which are invisible to us are visible in UV and function as targets or runways. Rudbeckia under normal light looks yellow to us. 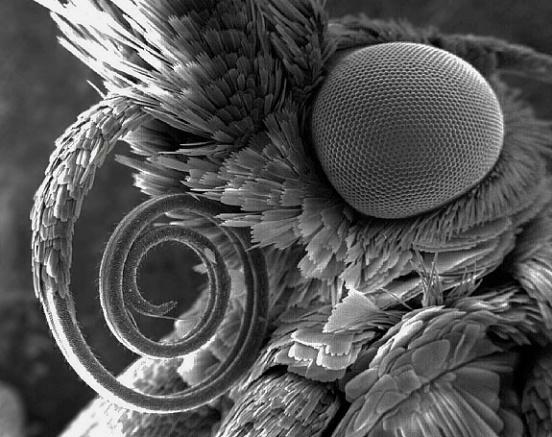 The black-and-white image shows the same flower under UV light and reveals patterns which have probably evolved to attract insects that can see images in the UV part of the spectrum and to direct them to the nectar producing parts of the plant.. 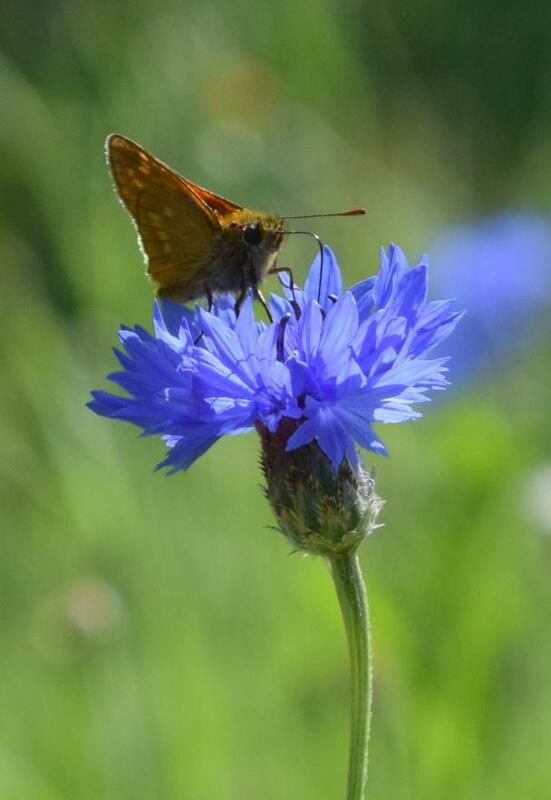 There are many flowers in the Higgledy collections which will attract butterflies. Some of their favourite annuals include cornflowers, marigolds, rudbeckias, corncockle, cosmos, tithonia and scabious and these will certainly encourage butterflies to your cutting patch throughout late spring and summer. 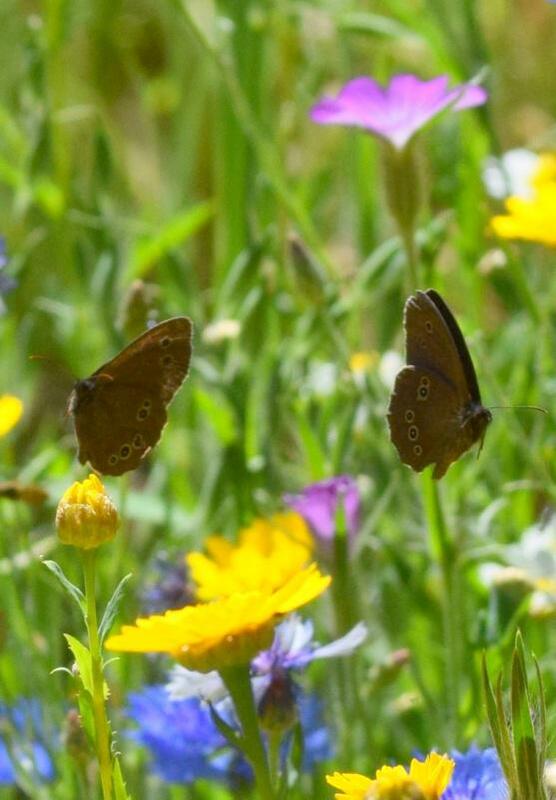 Biennials such as Sweet William, Wallflower, Sweet rocket and Honesty are also great for butterflies. They flower earlier and that makes them really valuable sources of nectar in early spring. Cabbage whites are definitely not so welcome in the vegetable plot and their caterpillars do love nasturtiums but in my cutting patch the only plant to suffer caterpillar attack so far has been hesperis which is related to cabbages- so should have seen that coming! 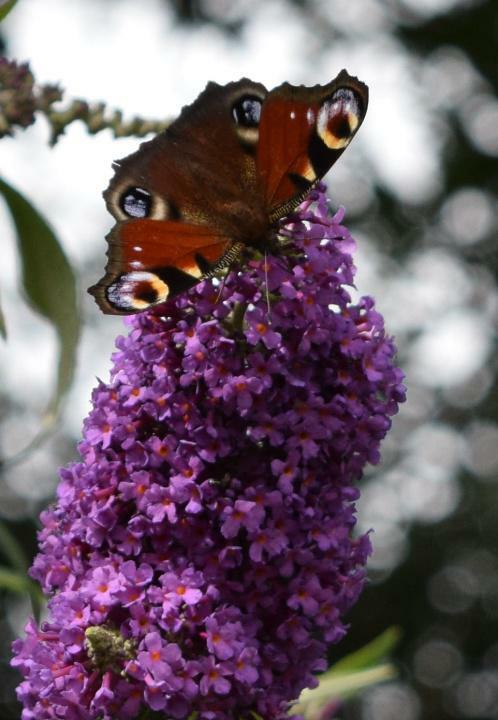 Some other plants which will help to encourage the butterflies to your garden include Buddleia (the clue is in its common name of “butterfly bush”!) blackberry, ivy, lavender, sedum, oregano and thyme. All these flowers will attract many adult butterflies but most are unsuitable as food plants for the larvae which often have a narrow range of suitable host plants. If you really want to encourage butterflies try letting some of these plants grow in part of your garden as well. Larval food plants are often wild plants and of these, stinging nettles grow frighteningly easily here!- but they do potentially attract a number of species including Peacock, Red Admiral, Comma and Small Tortoiseshell. 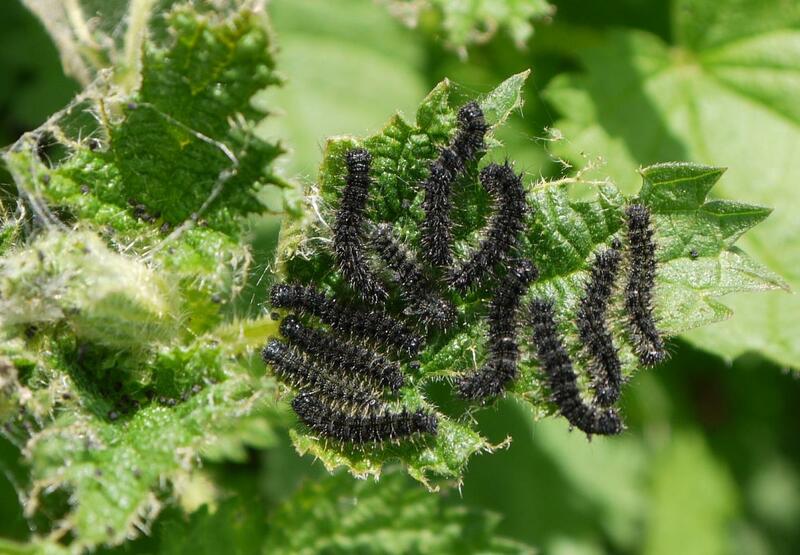 They need to be grown in a sunny position to encourage egg laying and even then there is no guarantee that the adult butterflies will choose them as a nursery – but it is very exciting if you are lucky enough to have peacock or tortoiseshell caterpillars appearing in your nettle patch. 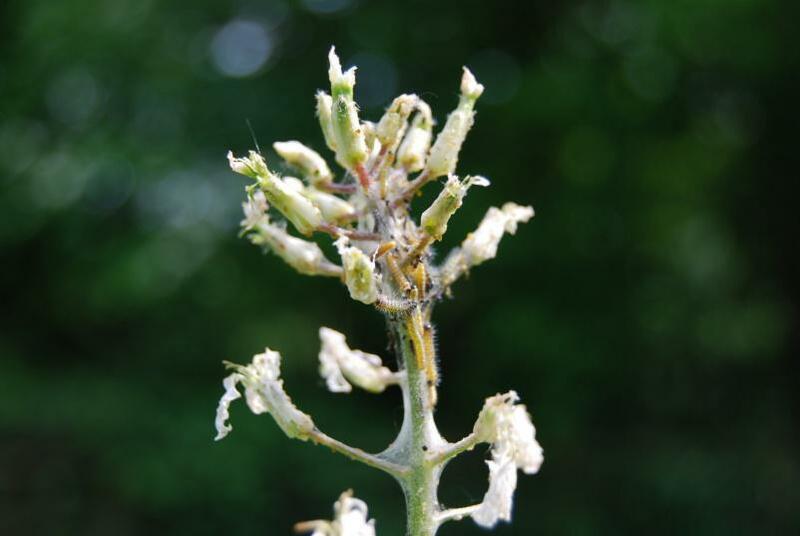 If you can bear to leave some thistles, the Painted Lady lays eggs on welted thistle and creeping thistle. 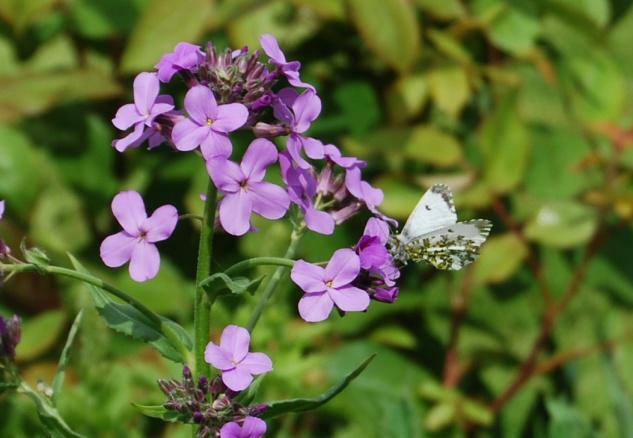 Any brassicas will attract Large Cabbage White and Small Cabbage White butterflies and as I found to my cost Hesperis are brassicas and one or two plants did get munched last year. Cabbage white caterpillars also love nasturtiums so at the first sign check under the leaves for clutches of yellow eggs and rub them off before they can hatch and start chomping their way through your plants. A number of meadow grasses are used by Speckled Wood, Meadow Brown, Gatekeeper, Marbled White, Ringlet, Small Heath, and various Skippers. 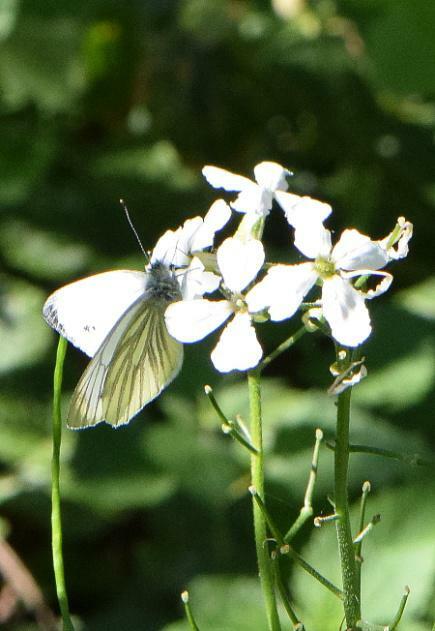 If you have Garlic mustard, honesty and lady’s smock in your garden you may attract Orange-Tip and Green-Veined White butterflies. And in my garden both these species seem to like to visit sweet rocket. Many of the butterfly myths throughout the world relate butterflies to the soul; with the caterpillar representing earthly life, the chrysalis or cocoon death, and the full-grown butterfly the freedom of the spirit or soul. Each year in Mexico millions of Monarch butterflies return to the forests of the Sierra Madre hills above the village of Angangueo between October 31 to November 2 when the Christian holy days of All Hallow’s Eve, All Saints Day and All Souls Day are celebrated collectively as “The Day of the Dead”. 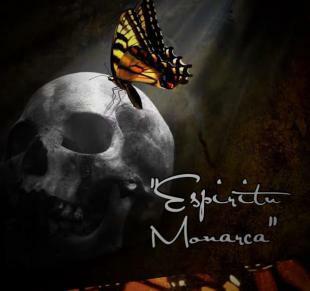 Perhaps not surprisingly the butterflies are seen as the souls of the deceased returning to earth for a brief visit. 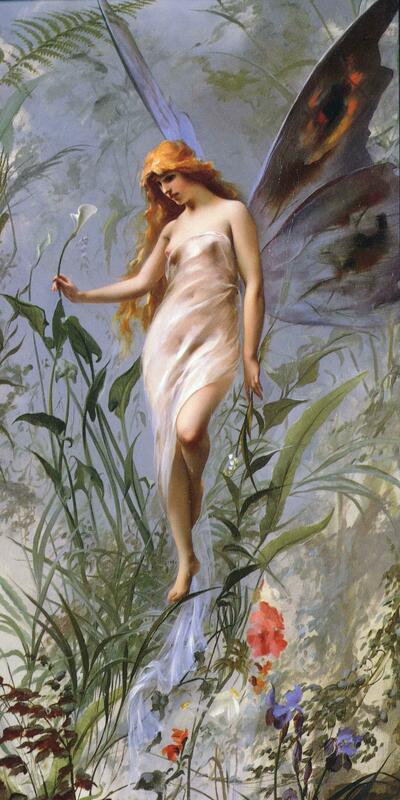 In Greek mythology Psyche was goddess of the soul (in ancient Greek the word for both soul and butterfly is “psyche”) and she is generally depicted with butterfly wings. 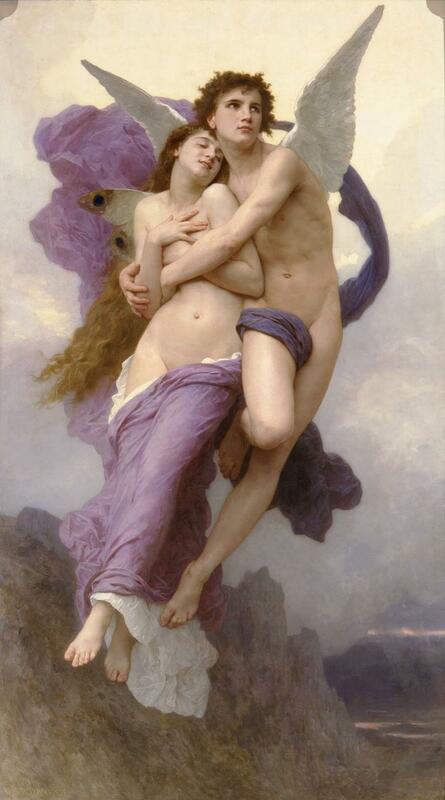 Here she is being abducted by Eros the God of love and I have to say she doesn’t look that unhappy about it. 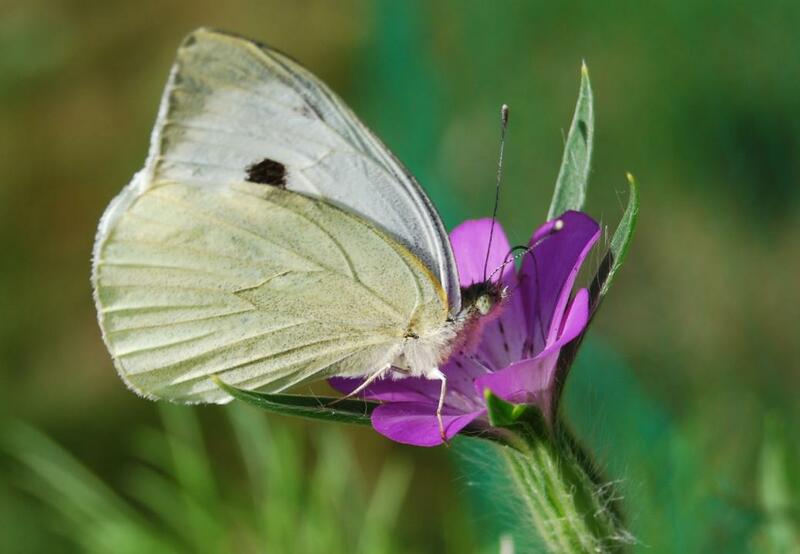 And just in case those pesky cabbage whites decide to target your nasturtiums remember that in Ireland in the 1600s it was against the law to kill to kill a white butterfly as it was considered to be the soul of a child…. But I don’t think that should stop you checking for eggs and picking off those greedy caterpillars! Growing An Edible Flower Garden. Craspedia For The Cutting Patch.